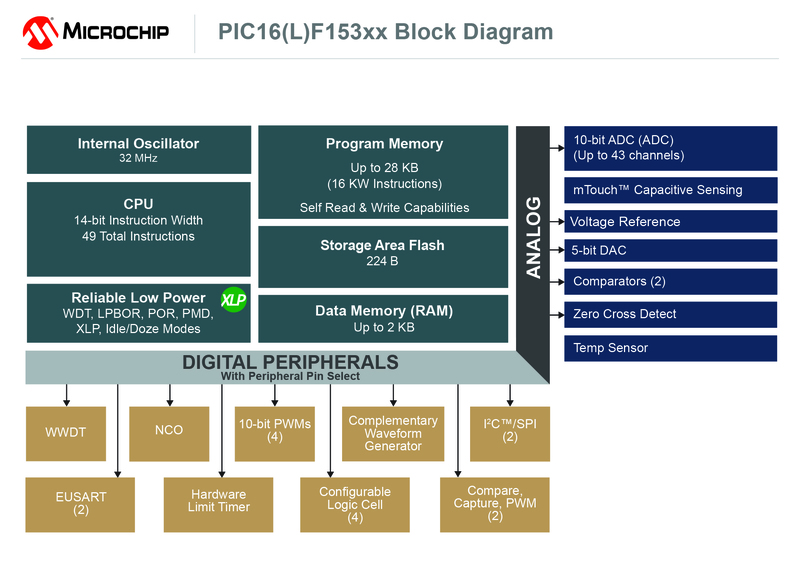 The PIC16F15386 family, the most powerful launching point into the 8-bit PIC microcontroller (MCU) portfolio, is now available from Microchip Technology Inc., a leading provider of microcontroller, mixed-signal, analog and Flash-IP solutions. In addition to our current Core Independent Peripherals (CIPs), this family includes a high accuracy 32 MHz internal oscillator and memory features like Memory Access Partition (MAP) with bootloader-friendly write-protection to prevent accidental overwrite. Device Information Area (DIA) offers protected storage for unique device identification and calibration values. 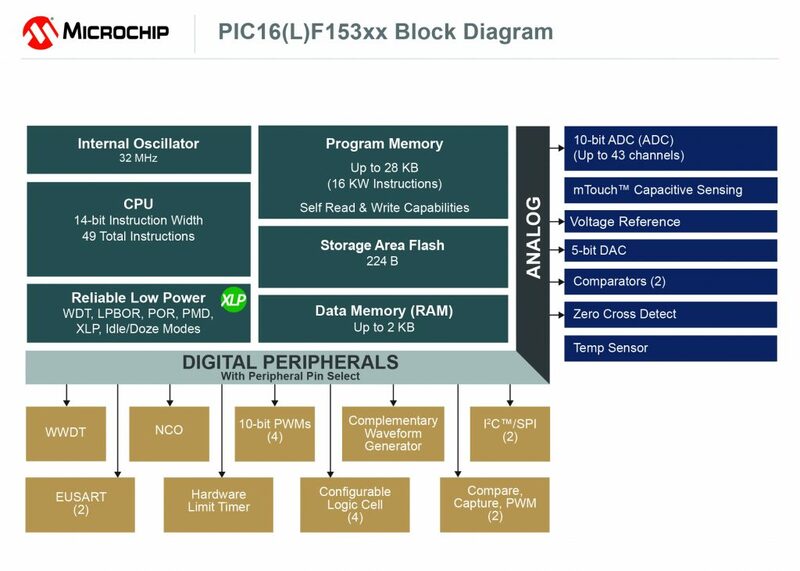 The PIC16F15386 family also offers a comprehensive, easy-to-use development experience with Microchip’s MPLAB Xpress with MPLAB Code Configurator (MCC) – the quickest way to generate application code. 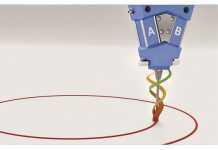 The family is suitable for a broad range of general purpose and low-power applications. 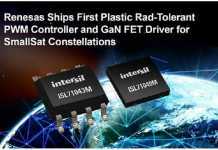 The scalable family offers up to 28KB Flash and 2KB RAM in 8- to 48-pin package options. 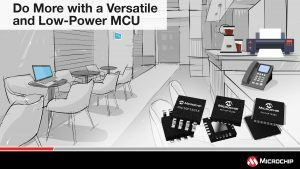 It is the first 8-bit PIC MCU family to offer the 48-pin package, adding more Analog-to-Digital Converter (ADC) channels and I/Os. 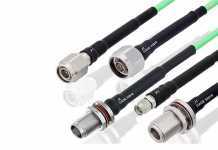 The family offers high levels of CIP integration to perform system functions (signal generation, motor control, safety monitoring, system communications, and human interface) outside the core while consuming as little power as possible. The new MCUs also contain power management features (IDLE and DOZE modes and Peripheral Module Disable) that allow engineers to optimise the balance between power consumption and performance.